With the goal of harnessing the untapped potential of Iranian-Americans, and to build the capacity of the Iranian diaspora in effecting positive change in the U.S. and around the world, the Iranian Americans’ Contributions Project (IACP) has launched a series of interviews that explore the personal and professional backgrounds of prominent Iranian-Americans who have made seminal contributions to their fields of endeavour. We examine lives and journeys that have led to significant achievements in the worlds of science, technology, finance, medicine, law, the arts and numerous other endeavors. Our latest interviewee is Muhammad Sahimi. Muhammad Sahimi is Professor of Chemical Engineering and Materials Science, and holds the NIOC Chair in petroleum engineering at the University of Southern California (USC) in Los Angeles. He has also been a visiting professor in Australia and Europe, and a consultant to many major industrial corporations. For the past 35 years Professor Sahimi has been active in research on all aspects of characterization and modeling of a wide variety of porous media, as well as composite materials, membranes, stochastic processes, and percolation theory and its applications. He has received awards from the American Physical Society, the Alexander von Humboldt Foundation, Russian Academy of Natural Sciences, and International Society for Porous Media (the Honorary Membership Award is reserved for individuals who have made extraordinary contributions to porous media science and technology). Professor Sahimi has authored more than a hundred publications, books and reviews, and his scientific work has been cited more than 20,000 times. 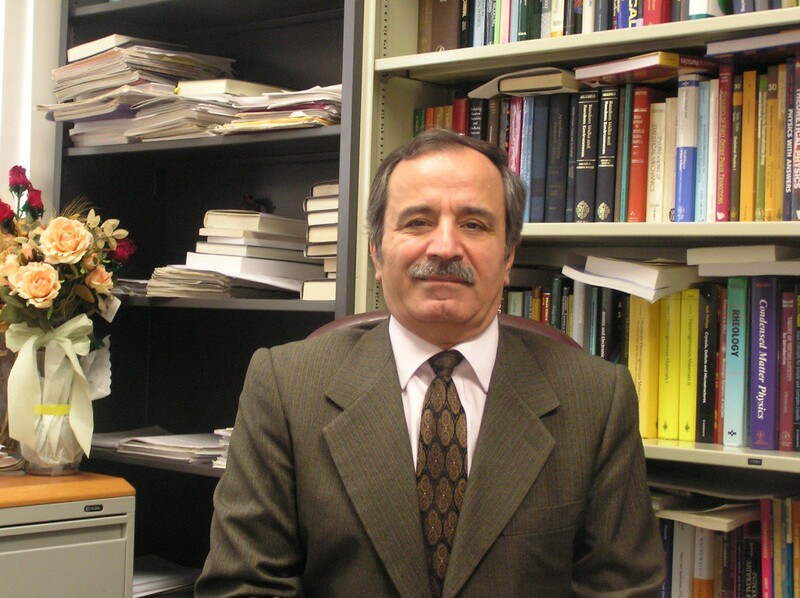 In addition to his scientific research, he has been writing about Iran’s political developments and nuclear program. From 2008–2012 he was the lead political columnist for the website PBS/Frontline/Tehran Bureau that was dedicated to news and analysis about Iran. Sahimi also contributes regularly to Antiwar.com, and his political articles have also been published by the websites Huffington Post, National Interest, and Foreign Policy, among others. They have also been published in the Los Angeles Times, the New York Times, International Herald Tribune, the Wall Street Journal, Harvard International Review, and The Progressive, among others. He is the co-founder and editor of the new website, Iran News and Middle East Reports. I was born in Tehran in 1954, although both my parents and my extended family are from Mashhad. I grew up in Iran street (khiaban-e Iran) in central Tehran. I attended Naser Khosrow high school in Iran street, and graduated with a math diploma in 1351 (1972). I passed the national entrance exam (“concoor”) the same year and began my college education at the University of Tehran’s school of engineering (Daneshkadeh-e fanni) in the fall of 1351 (1972). During my studies there, three of our semesters were cancelled due to political upheaval. I was politically active myself. I eventually graduated with honors in Azar 1356 (December 1977) with a degree in chemical engineering. The next year, I moved to the United States. This is where I began my studies and research for my doctoral degree in September of 1978 at the University of Minnesota. I graduated in August 1984 and two weeks later I began my career as an assistant professor at the University of Southern California in Los Angeles. I was later promoted to Associate Professor with tenure in 1989 and to Full Professor in 1994 where I was the chairman of my department from 1999–2005. Since 2005 I am holder of an endowed professorship (“korsi ostadi”) at USC. I grew up in a religious-nationalist family. My parents were very religious and pious, and my father was an ardent supporter of Dr. Mohammad Mosaddegh. They were the biggest influences in my life, and shaped me and my thoughts. Also, I was blessed with two important factors that contributed greatly to my academic career. The first was studying in the best universities of my era, from the University of Tehran, to chemical engineering and materials science at the University of Minnesota, which at that time was ranked number one among all such departments in the United States. The second was my mentors. I had great mentors, both during my undergraduate and doctoral studies, not to mention my parents. Working hard, being curious about new phenomena, zeal for learning new science, reading constantly, and a sense of competitiveness. My biggest aspiration has always been to be the best that I can be, and to be recognized at the forefront of the research areas in which I have been active. When I was a doctoral student, I worked in three different research areas where I made important contributions in a couple areas. The first area was porous media and materials. My papers published in that area became standard references in the field. The second area was computing and predicting properties of heterogeneous and composite materials. Since then, I have made research contributions to a variety of important problems, ranging from fracture propagation in materials and rock, its connections to seismic event and earthquakes, to membranes and chemical reactors, and to understanding biological phenomena. When I was still a doctoral student and wrote my first scientific paper (that was published in 1982), I put my full first name, Muhammad, on the paper. One of my mentors told me, “consider putting just M. on your papers, instead of Muhammad.” When I asked why, he said, “because there is still a lot of discrimination in this country, and people do not like Muslims.” He was right. 36 years after publishing my first paper, despite receiving awards and recognition for both my research and teaching, I still feel that I need to somehow “prove” myself; that given that I am a Muslim and insist on letting everybody know that I am a Muslim, I need to be twice as good in order to “prove” a point, and get recognition. I do not wish my point to be misinterpreted. The United States has been good to me, and I am grateful that I have had a successful career and a comfortable life, but I still feel prejudice, especially given the fact that the image of Iran and Iranians that is presented in this country is so distorted, and far from reality. Understanding biological phenomena, developing new energy-efficient systems, as well as “green” chemical engineering, and developing new materials for all sorts of applications, including those at nanoscale. I have been recognized for my contributions to the science of porous media and materials, ranging from the smallest scale to the largest ones at field scale and the various phenomena that occur there (fluid flow, transport, reaction, adsorption, and deformation); fracture propagation, atomistic modeling of membranes, and development of a mathematical theory, called “percolation theory,” for various applications in science and engineering. In fact, my book, “Applications of Percolation Theory,” is the standard reference for f the field. Two areas: various phenomena — freezing, boiling, energy storage, and efficient reactive systems — in nanotubes and other nano-structured materials, and biological phenomena, such as protein folding and aggregation that are important contributing factors to terrible diseases such as Alzheimer’s, Parkinson’s, and amyotrophic lateral sclerosis (ALS). The two fields are at the forefront of scientific advances. Biological phenomena, which so far have been understood only qualitatively or by experimentation, represent a grand-challenge set of problems. I was also inspired by the fact that my father passed away due to Alzheimer’s disease and, therefore, I became interested in understanding it and factors that contribute to its development. In addition to your scientific research, you have been writing about Iran’s politics. Your articles have also been published in the Los Angeles Times, the New York Times, International Herald Tribune, the Wall Street Journal, Harvard International Review, and The Progressive among others. Why you are so passionate about Iran’s politics? As I mentioned earlier, I grew up in a political family. In fact, my father’s side is very political, going back to the 1332 coup against the government of Dr. Mosaddegh. In addition, I attended the school of engineering of the University of Tehran in the 1970s, the last years before the 1979 Revolution, and that era was perhaps the most turbulent time in the pre-revolution era. Historically, Iran’s engineering schools have been the hotbeds of political dissent against the ruling groups. I have also lost my brother, my cousin, a close relative of my brother-in-law, and numerous old friends from my years at the University of Tehran to execution after the revolution, with a brother-in-law of mine going to jail for nearly five years. These have influenced me greatly. Finally, I am a firm believer in social justice, opposition to intervention in internal affairs of other countries, opposition to militarism, and universal values of human rights. I also love Iran. The way that I turned out to be is because of Iran, its people, its culture, and its rich and proud history. I can never forget this. I love Iran and have always presented myself as, first and foremost, Iranian. At the same time, I have lived most of my adult life in the United States, and am grateful for many things. Therefore, naturally, I am someone who is proud of his heritage, but also loves his adopted country. America is the most important country in the world; Iran is the most important country in the Middle East. Thus, being an Iranian-American means a lot of responsibilities. I want to present the true Iran to the American people, but also the true America to the people of my native land, because the images that are presented in both countries of the other country is so distorted: Iran is not a country of Muslim fanatics and supporter of terrorism, as presented in the United States, and the American systems of government, with all its flaws, is democratic, and America is where freedom of expression and thoughts are cherished values, and where one can advance in life, if one puts in the required efforts and dedication. President Trump and his anti-immigrant rhetoric notwithstanding, America is a nation of immigrants from every corner of the world.